A professional Mt Airy painting contractor can offer a level of quality not easily obtained by the average do-it-yourselfer. Plus house painting is labor intensive and can be dangerous. Now you have come to the conclusion to hire a Mt Airy painting contractor. 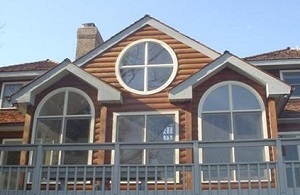 The cost of house painting can be substantial and a quality job even more. Get the most out of your paint job by choosing your painter correctly. Taskmasters has satisfied hundreds of Mt Airy homeowners with our professional education and our selective skillful staff. We take pride with every client to present them with all information about our company and our painting skills to beautify your next home. If you're looking for a professional roof cleaning contractor in Mt Airy, then give us a call 252-266-9457 or complete our online request form.